Mamma cannot get over the awesome panoramic views at this gorgeous place on the Mornington Peninsula. From up high you can see both Port Phillip and Western Port bays, surrounded by spectacular, sprawling, manicured gardens that are sprinkled with flowers, vegetables, waterfalls and gorgeous wildlife. This wonderful, privately-owned 55 acres has 18 different gardens to walk through, and is truly an experience like no other. Where else will you find a miniature cow roaming freely munching on grass? Or a family of Albino kangaroos hopping about? 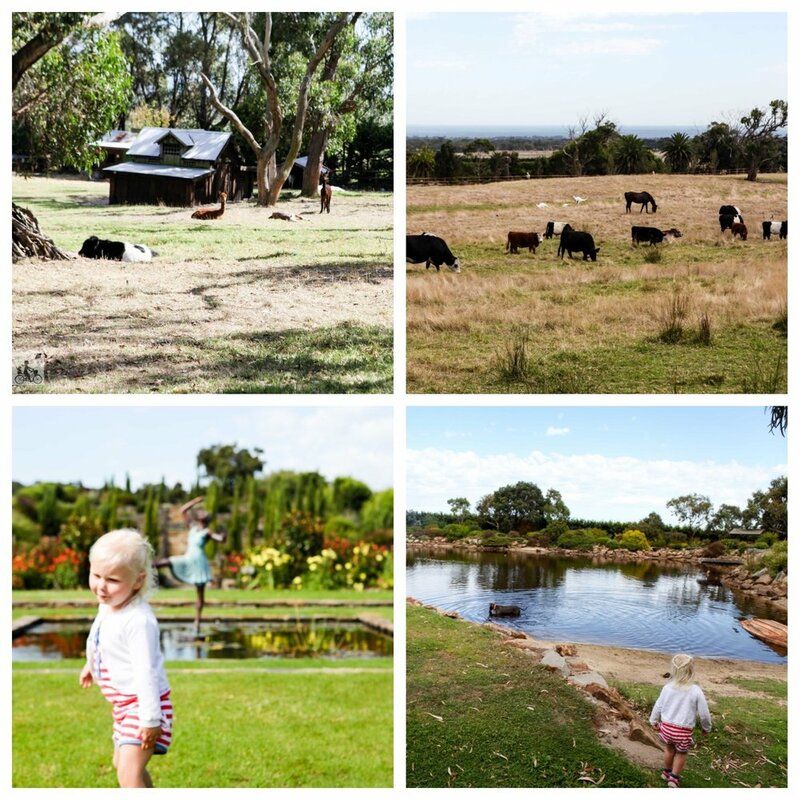 Not only is this wonderful place perfect for getting some exercise and fresh air whilst amongst amazing beauty - it is also a wildlife sanctuary and home to many animals such as; miniature cows, horses, goats, pigs, alpacas, kangaroos, donkeys, emus and many more. Special shout out to the big turkey, who takes it upon himself to be guardian of the property! This is such a cool place with one of the most breathtaking views this Mamma has ever seen! Head up the road to enjoy some delicious food and a cheeky drink at the wonderful Green Olive Winery. Or stop and pick some strawberries at Sunny Ridge Strawberry Farm.